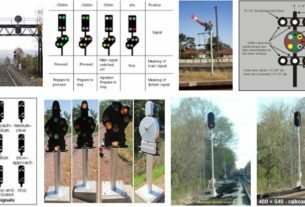 Signal spacing – The distance between the signal or lineside sign displaying cautionary aspect and the signal or lineside sign at which the train is required to stop. 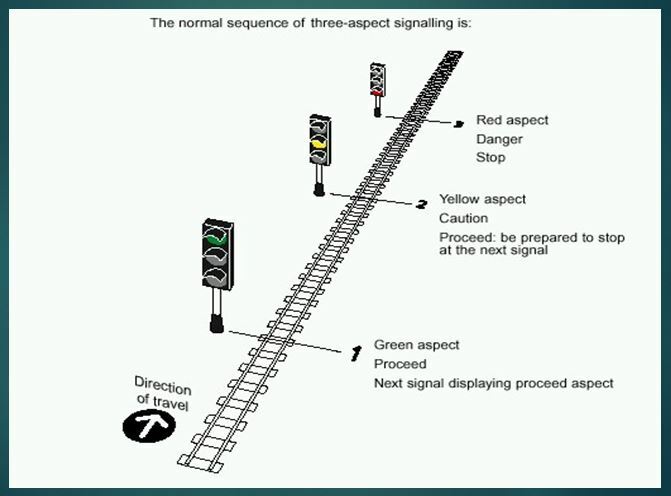 * A driver, running under authority of a green aspect in a three-aspect section of line, shall be warned of a stop aspect by the standard three aspect sequence. 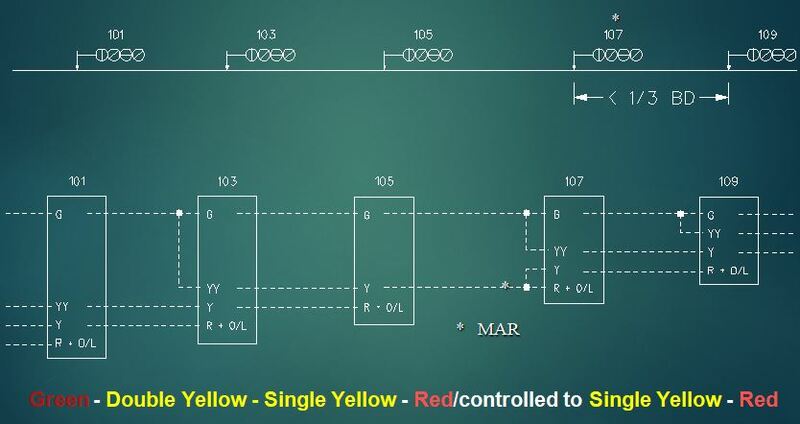 the minimum signal spacing distances between the yellow and red aspects for various speeds are set out in GK/RT0034. 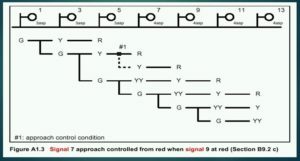 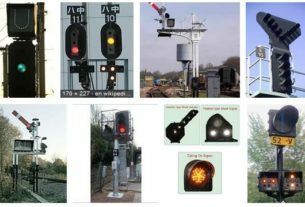 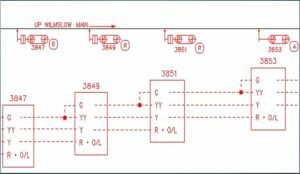 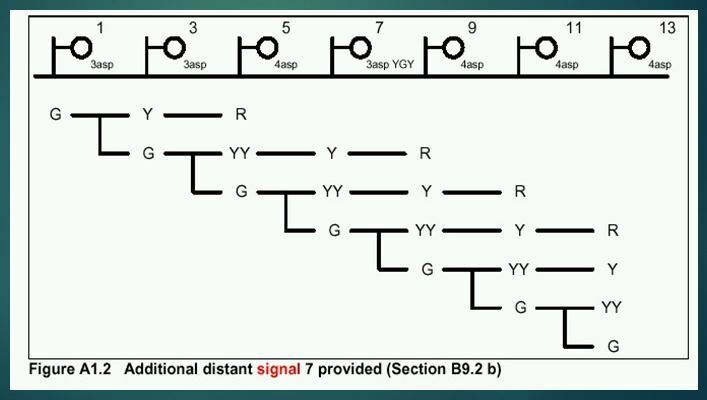 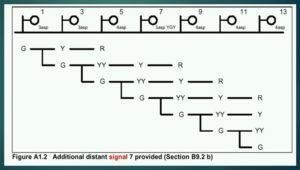 * Where distances between successive stop signal is more than the maximum permitted by GK/RT/0034, separate distant signals shall be provided. 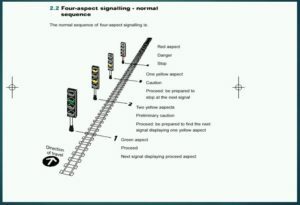 * Where the permissible speed of trains is greater than 100mph, four aspect signalling shall be considered. 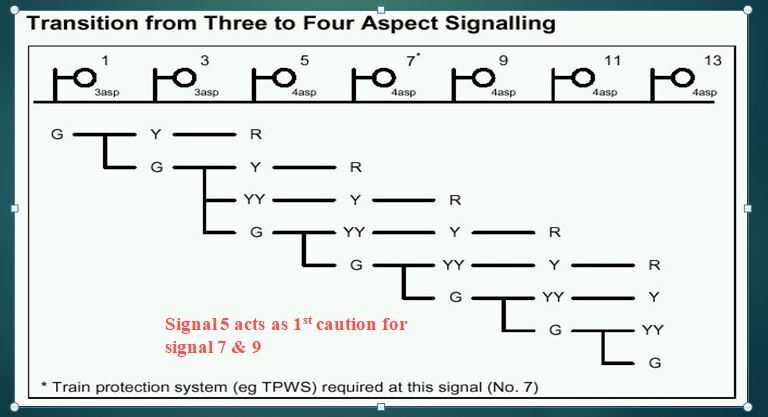 The imposition of a speed restriction. 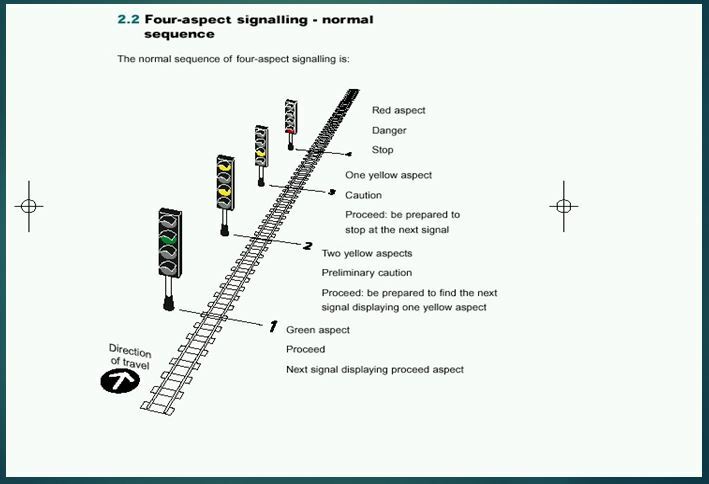 A driver, running under authority of a green aspect on a four aspect section of line, shall be warned of a stop aspect by the standard four aspect sequence. 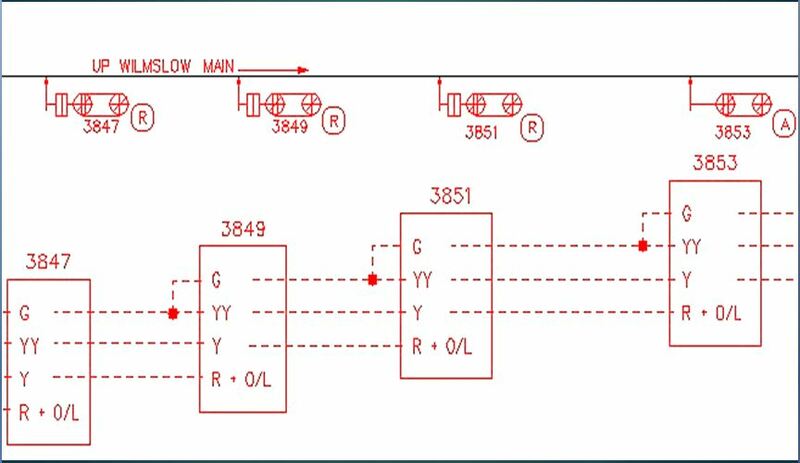 The minimum signal spacing distances between the double yellow and red aspects for various speeds are set out in GK/RT0034. 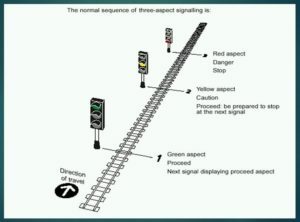 Where it is necessary to position signals such that the required spacing cannot be provided between a Double Yellow and a Red aspect in the standard four aspect sequence, Double Yellow aspects shall be additionally displayed at one or more preceding signals such that minimum signal spacing distance is provided between the outermost Double Yellow aspect and the Red aspect. 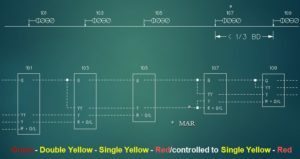 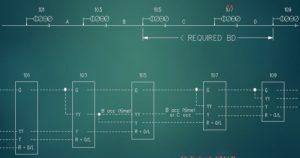 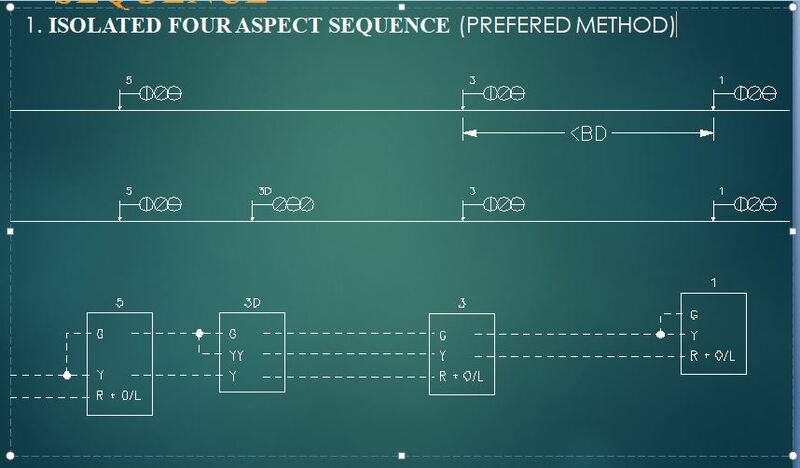 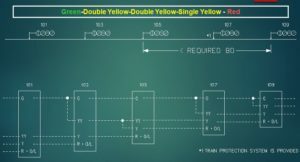 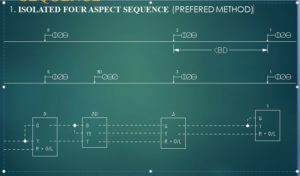 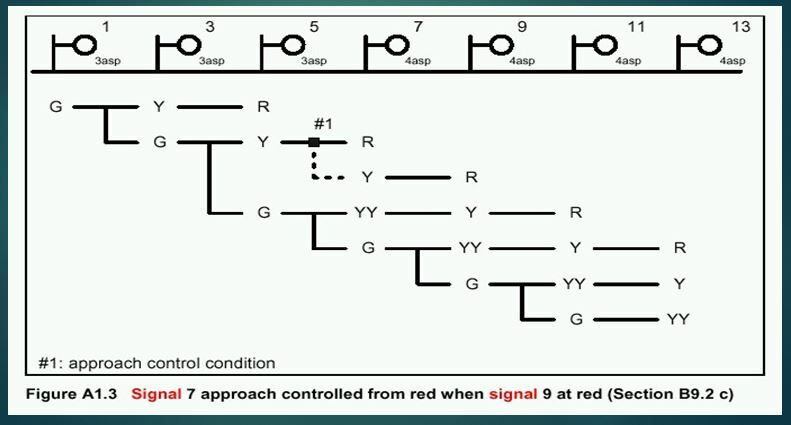 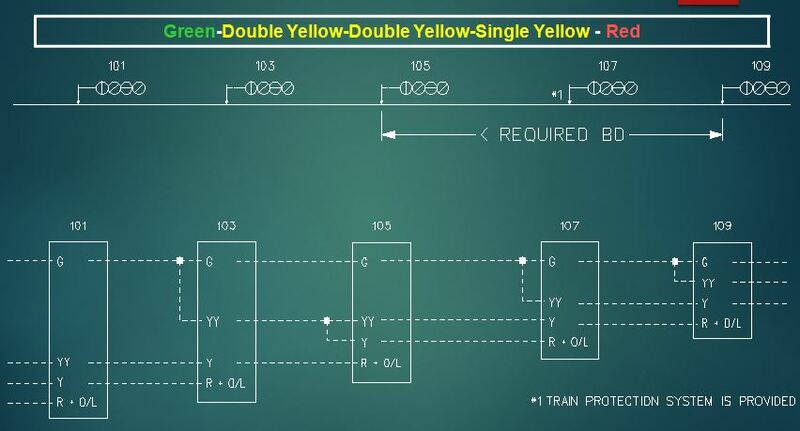 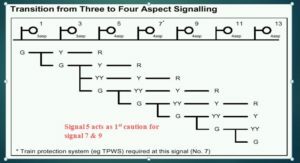 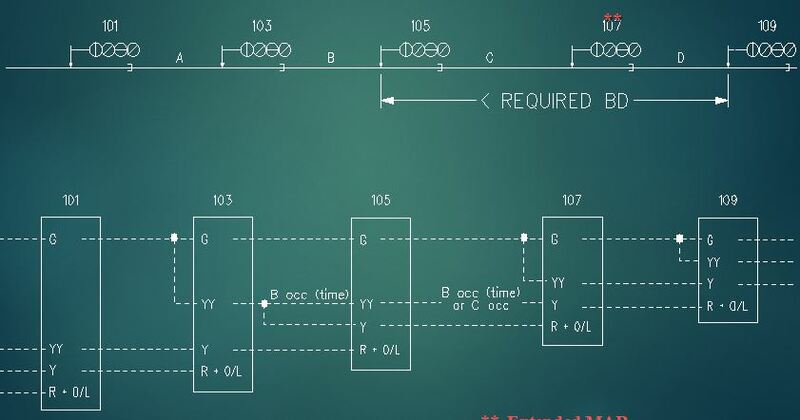 Where it is necessary to position signals such that the spacing between the single yellow and the red aspect does not meet the requirement for the 4 aspect sequence (one third of the applicable signal spacing distance), then one of the following modified aspect sequence shall be adopted.